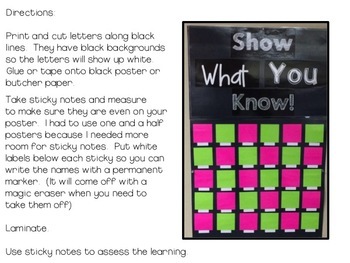 Anchor Charts: One great way to assess the class is through a quick survey or a reflection. 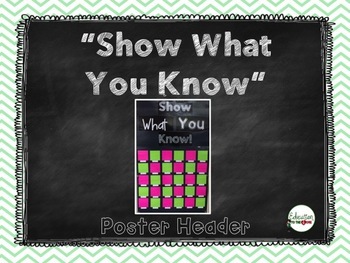 These posters help you to understand the students' thinking by looking at their responses. 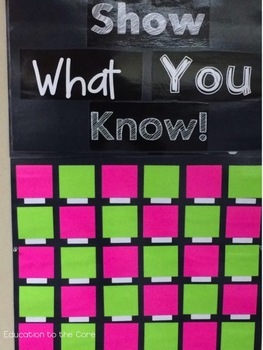 I made this because I think allowing the students to give us a chance to show what they know is vital to the learning process. so the letters will show up white.